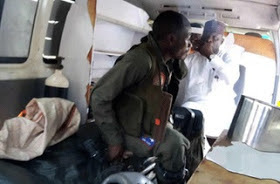 The Nigerian Air Force (NAF) says one of the pilots, successfully ejected from one of the F-7Ni aircraft that had previously crashed in the FCT, was passed on. Air Commodore Ibikunle Daramola, NAF Director of Public Relations and Information, said in a statement Friday in Abuja. "It is with a heavy heart that, regrettably, I announce that one of the pilots who was successfully ejected from one of today's downed F-7Ni aircraft has passed over." May his soul rest in peace. Further details of the incident will be communicated, "said Daramola.